← Millennium Falcon Coffee Table by R-9. For the most part, i got these figurines in pairs. 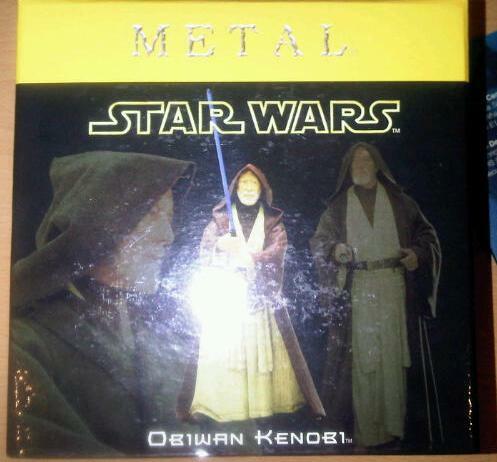 Naturally, i bought Obi Wan Kenobi with the Darth Vader Figurine. It made sense for me to post about them in the order that i got them. This one’s number 810 of 2, 500. I’m not too sure about this one to be honest. 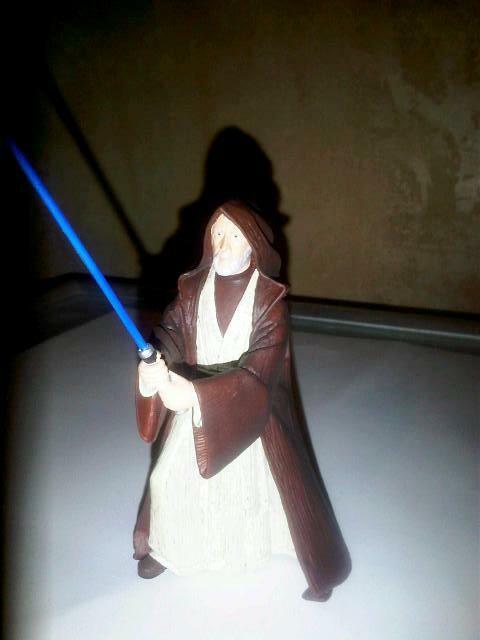 He’s nicely painted and the body’s quite nice and as it’s a solid lump, it kind of reminds me of the original Kenobi action figures from Palitoy. (Remember they used to have the big legs to represent his cloak? 🙂 ) Unfortunately, Attakus’ failings with likeness continues with their metal line. The face sculpt bears only a passing likeness to Sir Alec Guiness . I appreciate that it must be extraordinarily difficult when sculpting in this size, but still for the price i paid at the time, i really would’ve expected more.